I’ll try to keep this brief as I think its best to start this project by trying to explain why I’ve decided to start a blog. Especially as anyone who knows me would be fully aware of my (formerly) deep and abiding hatred of those on two wheels! I grew up in Brighton and have also worked in a driving-centric job in London: these experiences had given me a view of cyclists that was, frankly, less than flattering. What with jumping red lights, weaving recklessly through traffic and riding the wrong way up one-way streets, to riding on pavements and hurling abuse at motorists, I thought I had a pretty reasonable opinion of the lycra-clad masses that you find creating moving hazards along The Embankment every rush hour. However, a few years ago I decided to join a gym and I had a go at spinning. 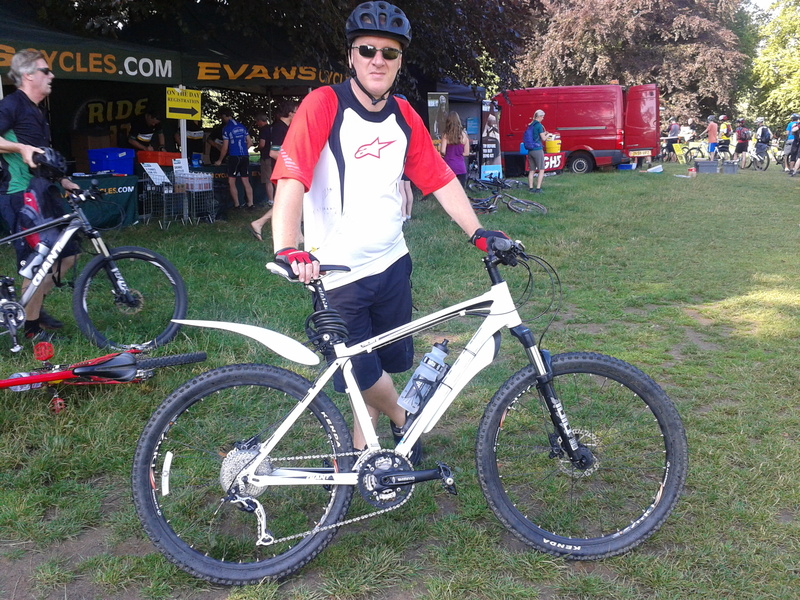 I found it quite enjoyable so, when I later came into possession of a mountain bike, I thought I’d give cycling a chance. Revelation!! Cycling is actually enjoyable!! Now don’t for a second imagine that I’ve had a complete conversion and no longer hold any of the views that I’ve hinted at above: I’m sure at some point I’ll probably cover what my problem is with some cyclists. And, in the interest of balance, I’ll do the same from a two-wheeled perspective of those in warm, dry, four-wheeled cocoons. Since moving to Walton on Thames three years ago I’ve been regularly cycling along the towpath by the Thames (mainly because a Mini Cooper isn’t really made for transporting bikes!) and whilst that’s all very nice, I’ve got to the stage where I want to venture further afield and test myself on greater challenges. As evidenced below, I tried it last year although I started with what I think is quite a testing route, but at least I survived and I’ve now entered a London to Brighton off-road event in September. So that’s been my journey so far: from here on I’m intending to record my progress towards the aforementioned challenge; the trials and tribulations I face along the way; and anything else that takes my fancy or gets my goat. I hope you find it interesting, amusing, enlightening or diverting. And, if so, feel free to comment and tell anyone about the page! Happy cycling and happy blogging! Thanks! I certainly hope to!